If you aren’t keeping track of the current gaming world or if you live under a rock, you’d know that the long-awaited Borderlands 3 is finally coming to PC. While sequels are fine and dandy, players were more worried about whether Borderlands 3 was coming to Steam or Epic Store. Feel a bit disconnected? Let us fill you in. Remember the old days of gaming where Sony’s PlayStation and Microsoft’s Xbox would fight over exclusive rights over a game’s publishing? Those were done to solidify their consoles as the best, better than the competition. While that trend is yet to die down anytime soon on the console side, the PC “master race” has emerged as a new contender for the spot. It all began in December of 2018 when Epic games decided to launch their own storefront. Titled Epic Games Store, this storefront was developed to be a direct competition to Valve’s Steam, the largest digital gaming market. Before 2018, Steam would rule the market as a monopoly. Not because there was a lack of competition but because there was a lack of proper competition. Market fronts such as the Humble Store, Uplay, Origin, GOG were still there but Steam would remain on top. 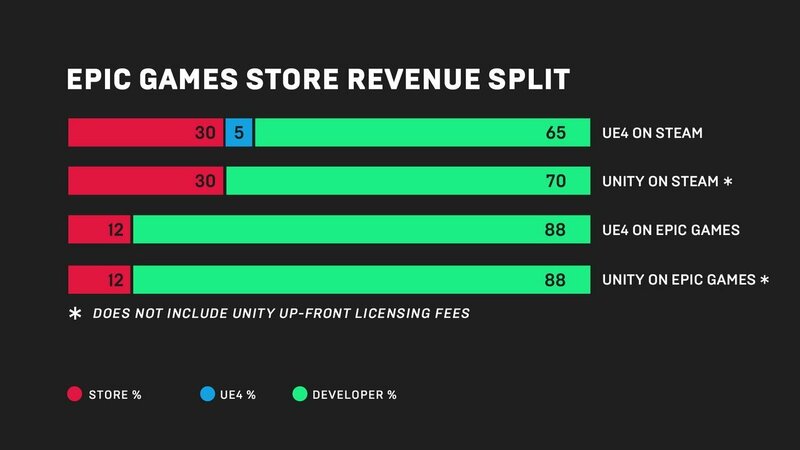 The launch of Epic Games Store wasn’t that big of a deal in itself. What set it apart from Steam and others was how they divided the revenue generated from sales. Steam takes 30% from every purchase as their share. Epic, on the other hand, takes 12% of the sales. Epic Games also waives the 5% fee if the game is developed on Epic’s proprietary Unreal Engine 4. While this isn’t a big deal for the average video game player, this makes a monumental difference for the developers. At least from a monetary angle, a partnership with Epic means a greater level of flexibility for a game. And more money for a developer usually means more content from that developer. Here is where things get a little iffy. Steam has an open marketplace, made possible by their Steam Curators programme. As a result, any budding developer can publish their creation on Steam. While it has saturated the greenlight programmes with buggy, unfinished asset flips that are done as a mockery of game development; there are genuine titles which have made it out of the greenlight purgatory. Other than that, Steam allows regional pricing, user-focused reviews and a suite of features that aren’t available on Epic Store. These are promised features on the Epic Store but the lack of something as simple as Two-factor authentication and other purchase related quality-of-life changes does not make a good case for Epic Games at all. In a bid to pitch their storefront as the new and cooler kid on the block, Epic Games entered a partnership with Ubisoft and Deep Silver games. 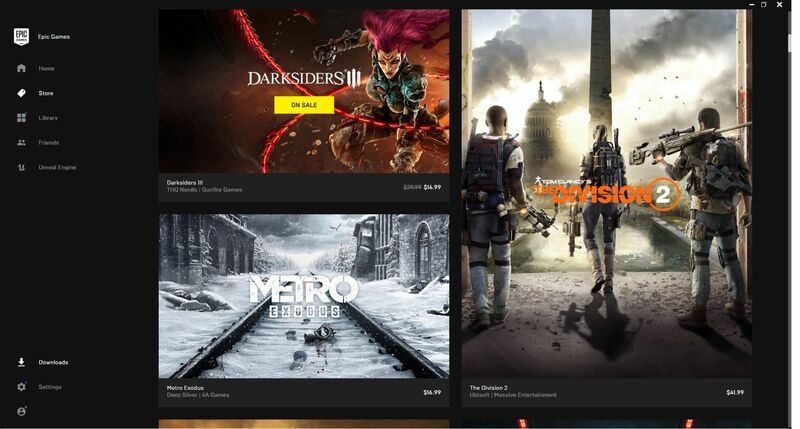 Tom Clancy’s The Division 2 and Metro Exodus are two AAA titles that have been launched exclusively on Epic store. Now the partnership of Exodus only stands for a year and The Division 2 is also available on Uplay as well but the message it sends is clear. And it’s loud as well since Quantic Dream’s titles such as Heavy Rain and Detroit: Being Human are coming to Epic Store as well. 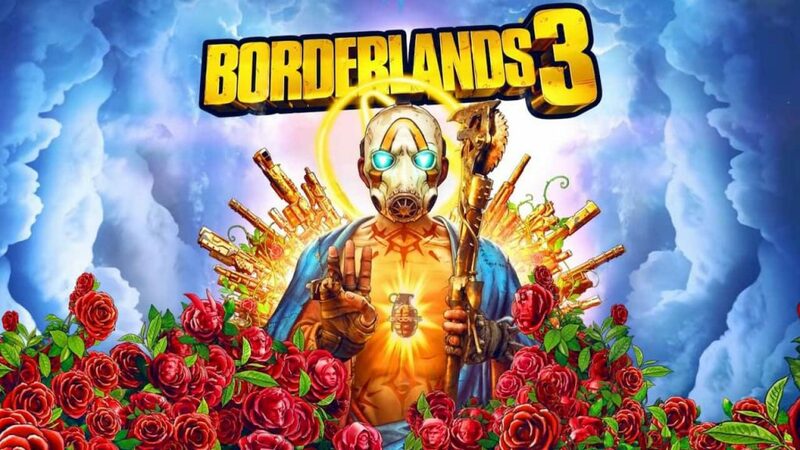 The aforementioned sequel to the Borderlands franchise, Borderlands 3 is also releasing as an exclusive on Epic Store starting September 13th. Private Division is also releasing The Outer Worlds on Epic Store. And if rumors are to believed then Red Dead Redemption 2 will be launching on Epic Store as well. But take that last one with a mountain of salt. On the other side of the coin, Steam has snatched up a major victory on the exclusive side. Teaming up with Microsoft Studios, Steam will be launching the entirety of the Halo: The Master Chief Collection. 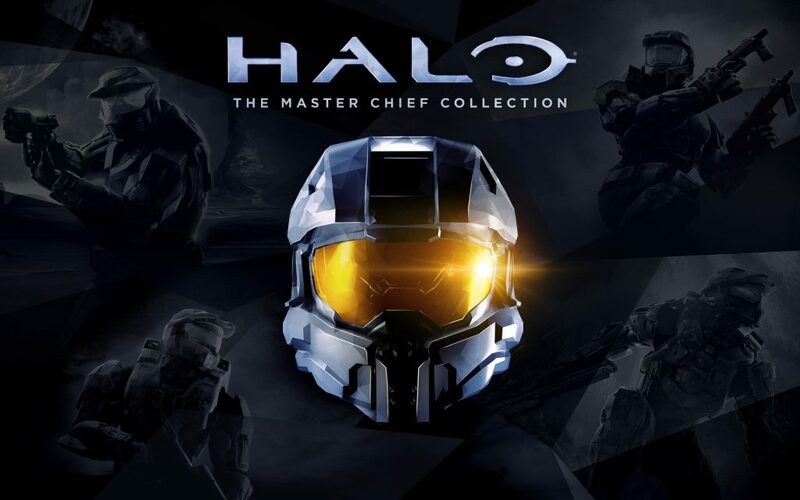 Ever since the departure of the series from the PC platform after Halo 2, fans have been clamoring for a return ever since the MCC was announced for consoles. Microsoft pulled the trigger when the hype was feverish and Steam capitalized on the hype as well. And there is no doubt that Metro Exodus will topple the charts when they pop back up on Steam after their exclusivity ends. A worthy mention of a game’s success stemming from the storefront would be Warframe and the JRPGs. Warframe was dying when it came on Steam. 7 years later, the game is one of the biggest free-to-play success stories out there with over 45 million player base across all platforms including Nintendo Switch. Classic JRPGs have reached a level of fame they never experienced in the mainstream crowd. Heavily technical Japanese titles such as Monster Hunter World have opened the proverbial box office on release day, toppling Steam charts and putting their publishers and developers in the spotlight. Yet none of this would be possible without Steam’s incredible player base and their integrated community system. Let’s not forget about this bad boy, shall we? Epic knows that Steam is their biggest hurdle. But to combat that, Epic is taking a very different approach. They are using Steam’s own data to formulate their strategies against Steam. Epic’s Director of Publishing strategy Sergey Galyonkin used Steam Spy, a website he himself created in 2015 as a side project to plot business strategies of Steam. With this public-private data, he made the projections for Epic’s business plans that would stretch across a multitude of platforms. Whether this practice is an ethical one or morally correct is subjective. But from a business rivalry perspective, this is nothing but utilizing information available at hand. Epic Games’ CEO Tim Sweeney himself has said before that Steam’s business model of 30% revenue share doesn’t work anymore. And that Steam can easily make a profit by taking 8% of the sales revenue. It is kind of contradictory for Epic Games to make such a statement seeing how they’re taking 12% themselves and not because they’re starting out or because they’re a small time competitor. Thanks to Epic’s wildly successful Battle Royale Fortnite, Epic Games has reached a new level of financial success. And if the “Red Dead” rumors are to be trusted, Epic’s new collaboration with Take-Two Interactive might just give them a huge boost in revenue. Exclusivity on PC is not as conflicting as it is with consoles where you miss out on games if you don’t buy a certain console. Which is a good thing looking forward because we’re slowly approaching an era where we might need 7 or 8 individual launchers to play different games. Players are already making their stance clear and most people are leaning towards Steam over Epic Store, preferring to wait out the exclusivity period. And unlike the console exclusivity, this PC exclusivity fiasco won’t result in good games being published or innovative hardware upgrades usually seen on consoles. Will Epic actually beat Steam? Frankly, it is too early and too hard to tell right now.  Both platforms have flaws, both platforms have their pros. Epic is pro-developer/publisher and Steam being the bastion of consumer-first approach. Where this battle will end, is hard to predict but as things stand, it’s okay to take a step back and assess the situation. And review-bombing a game for its exclusivity won’t change the situation. But hey maybe we’ll get a unified store because of this so who knows? Times are a-changing.